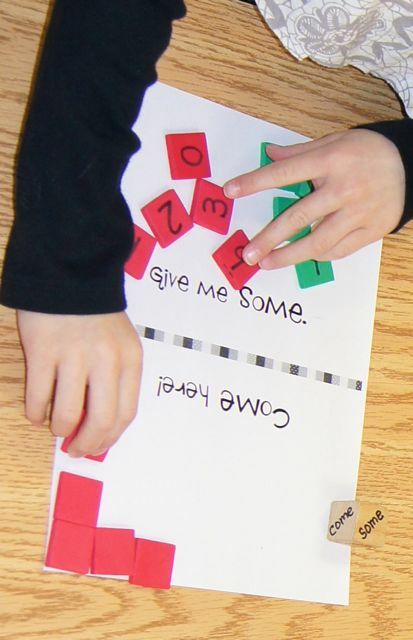 Our new sight words are TRICKY - come and some. How can we remember them? A game of course because we love games. Our game involves moving squares from one half of the page into the other. One person says “Come here” the other person says “Give me some.” The dice we roll say come and some. You want to get all the other person’s squares before they get yours. Before we tried the 2 person game we played the game with students instead of squares - that’s right students. We moved from the some side to the come side. David was the last man standing on the some side.